Throughout the 10 plus years I have been working in the paper industry, I have seen the good, the bad, the ugly and unfortunately, the DIY disasters. In a new world of DIY everything, your invitations should not be one of them. Please hire a professional for this timeless piece of your marriage as your invitations will be something you treasure for many years to come. 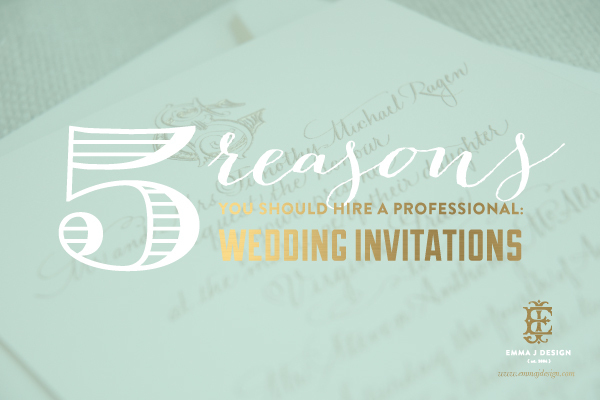 Here are my top 5 reasons to hire a professional to design or print your wedding invitations. Thinking about printing your invitations at home or at work? My guess is your printer doesn’t provide archival inks and offset printing quantity. What does that mean? 5 years from now, you’re going to look at your wedding invitations only to discover the ink has started to fade and turn yellow or brown. Over time, the design will mostly disappear leaving you with a faded piece of paper that has also started to yellow and fade. Stick to offset printing, letterpress, thermography or letterpress and 100% cotton papers so that in years to come, you can share your invitations with your children and they will see it in the same way you intended: classic, timeless and representative of your wedding day. I still have a copy of my grandparent’s folded traditional wedding invitation – still in the same condition from almost 75 years ago. Graphic designers and Stationers have specific software they license to create invitations and graphics. This software is extremely expensive and they are trained to use this properly. When it comes to the artwork on your invitations, a seasoned designer can properly illustrate graphics for your invitation – either from scratch or from trusted libraries of design elements. Attempting to use clipart from your word program or pulling images from the internet will not result in a good quality image. All images on the internet have been reduce in resolution so they will often appear blurry. Images needs to be at least 300 dpi in resolution to be used in graphics and printing, while all web images are only 72 dpi in resolution. If you do choose to design your own invitations, please do not take artwork from other designers’ websites and samples – this is highly unethical and unfair to these professionals. Graphic designers and Stationers have extensive libraries of fonts available for commercial use. Their sources will far exceed the font selections available on your computer. We take time to study font trends, purchase updated versions and new scripts to make available to our clients. From choosing a classic font designed by a calligrapher or a block print that will stand the test of time, we know what will best in the design and what will not look dated after a couple of years. Chances are, if you can find fonts on a free font website, they have been in the market for quite a few years and are starting to look dated. Best to stick to classic fonts and hand-rendered lettering. Oh, how this is SO important for your wedding invitations. Referring back to my blog post a few weeks ago, this is just the icing on the cake – there are many layers to the correct wording on wedding invitations. So many in fact, that a true professional will know all of the proper etiquette rules for your wedding invitation wording. Through their experience, resources and etiquette guides, they will provide you with the correct name order, host lines, time, date and location specifics. I cannot tell you how many wedding invitations I have seen over the years with improper wording and etiquette. A few of the most common mistakes are: 1) Using “Requesting the honour of your presence” while getting married outside of a church setting. This is reserved for a house of worship ONLY. 2) Including the Zip code in the address line, 3) Not including full spelled out names of parents and bride/groom and 4) Not spelling out the state on the envelopes – this is just to name a few! In addition to wording etiquette there are specific ways your invitation should be layered in the envelope, addressed and mailed. The paper industry is a very broad industry – there are hundreds of paper options available to the public, trade-only and designers. We have the experience to know how designs will look on specific papers with chosen printing techniques. In most cases, the printers you have at home will not be able to support a thicker stock appropriate for wedding invitation. Paper and envelopes often get stuck in the printer leaving you with frustration and an unsuccessfully printed invitation. It is also important that all of the paper is purchased from the same company. Paper runs can vary at times leaving you with varying shades of whites or ecrus. Buying from discount sites can sometimes leave you with mismatched envelopes and paper. Whether you work with me at EMMA J DESIGN or one of the many talented stationers available to brides like you, please let us assist you in designing a unique and timeless invitation for your wedding day. wow!! This is really a very good tips. thank you for sharing this post. Came across this gem on Pinterest this morning and wanted to share such a wonderful thought. 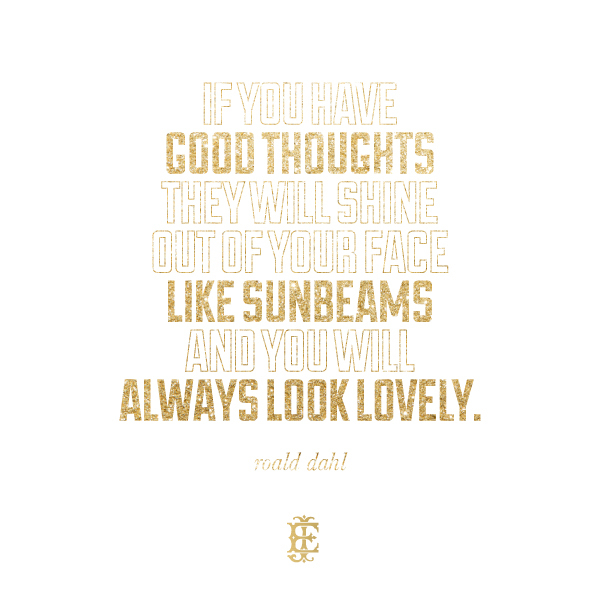 Feel free to pin, share and post on your inspiration board for everyday inspiration. We’ve had the opportunity of working with our favorite local stationery store in Savannah, Georgia called La Paperie. Owner, Debbie Lewis wanted a new look for her luxury paper business that better represented the Parisian feel she had in mind. Using French inspired antique lettering, we designed a custom monogram and calligraphy letterstyle. I’ve been living vicariously through my favorite fashion bloggers, Pinterest boards and Instagram photos this week at NYC Fashion Week. Wanted to share a few of my favorite pieces that made it down the runway! 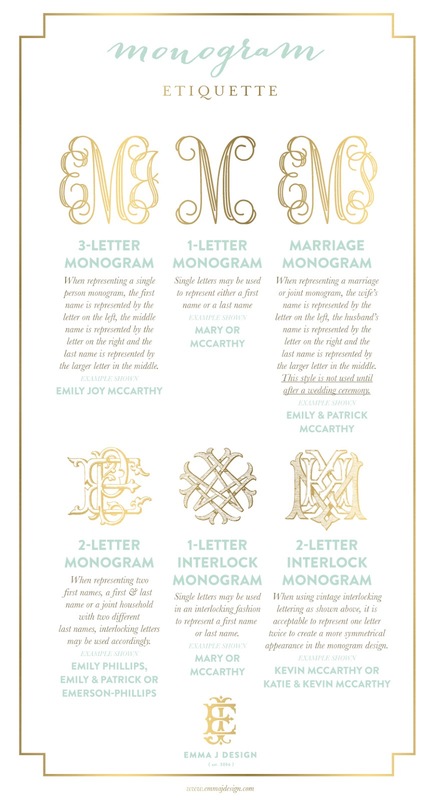 Due to the popularity of the invitation etiquette post I did a few weeks ago, I decided to touch on monogram etiquette. Here are examples of name usage, order and format to be used in monogram design and personalized goods. If you would like to commission a custom monogram design, drop us a note [email protected] to get started. What do you recommend for a last name comprised of two words, for example Van Pelt? Hi Laura! I would suggest a custom design the incorporate all 4 of your initials! Email us at [email protected] and we would love to assist you! What is a Brand Stylist? What is a brand stylist you ask? A brand stylist is exactly the type of exclusive service I offer with EMMA J DESIGN. Where do you see your business or brand in 5 years? 10 years? It is important to invest the time and effort from the ground up. Some of the strongest brands in the industry have stood the test of time and lasted through trends in the industry, changes in economic status and business success. Rather than starting small, why not start big? The first time you hand out your business card is just as important as the hundredth. First impressions are everything, especially in this industry. You obviously want your first impression to be fabulous so start now. Start with your vision and let us help you carry it through your business every step of the way. From choosing your final color swatch, selecting the type of paper for your business cards or how you should execute your new look in your office or studio, we help you style the entire brand all the way through. Every detail will help bring your new brand to life. Drop me a note if you’re interested in getting started. 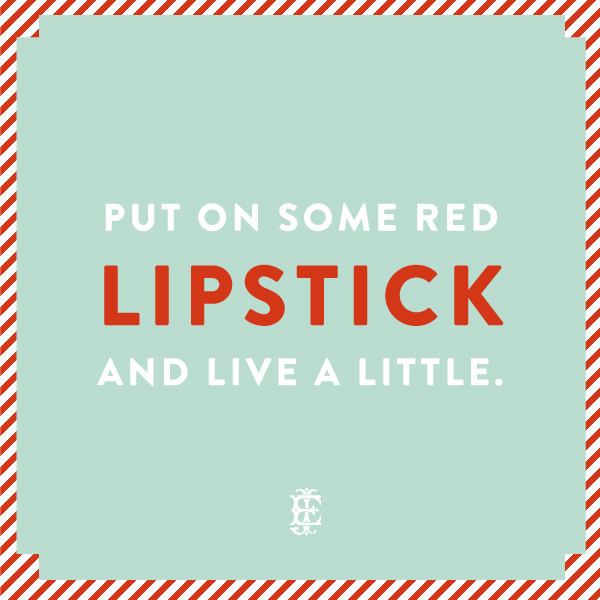 I don’t know about you, but I always need a little pick-me-up on Wednesdays. Couture monograms are designed to be unique to you and your style. From traditional to modern, monograms can be any customized to your personality and unique vision. 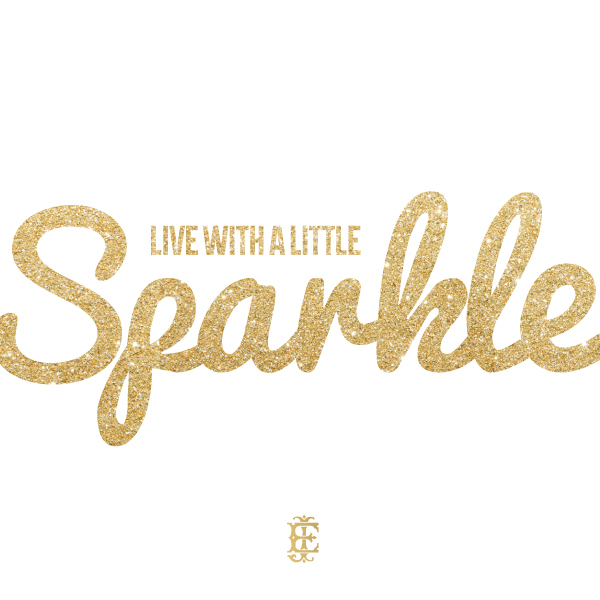 Between vintage lettering, custom illustrations and hand-rendered fonts, we have the ability to create truly one-of-a-kind monograms for use on stationery, invitations, giftware, acrylic items, party accessories and embroidery. Couture monograms may be designed a la carte for $250 or as part of your invitation or stationery wardrobe. Here are a few bespoke designs we have customized for our favorite clients.